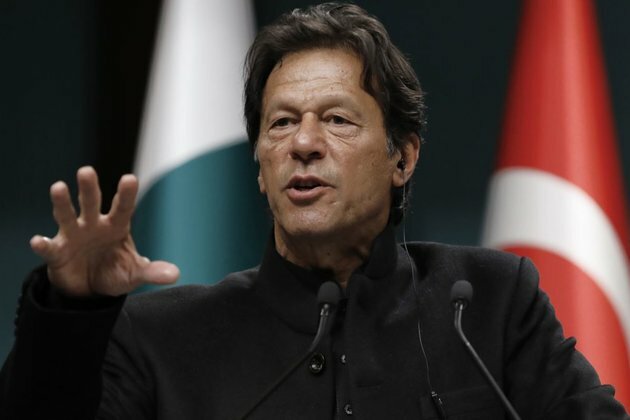 ISLAMABAD, PAKISTAN - Pakistan's Prime Minister Imran Khan said Friday that peace in Afghanistan is 'around the corner,' citing ongoing negotiations between the United States and Taliban insurgents. Islamabad is credited for arranging Washington's direct dialogue with the Taliban that U.S. officials say has 'made real strides' in recent days. 'Negotiations have been initiated with the Taliban. God willing, our brothers in Afghanistan would live together in peace in coming days,' Khan told a big public gathering in northwestern Bajaur tribal district on the Afghan border. Without elaborating further, Khan asserted the peace process would result in stability, trade and economic prosperity for the region, and particularly for Afghanistan to enable the war-shattered country stand on its own feet. 'A good government will be established in Afghanistan, a government where all Afghans will be represented. The war will end and peace will be established there,' Khan said. U.S. and Taliban officials concluded their latest round of discussions last Tuesday in Qatar, saying they have reached a preliminary draft agreement toward resolving the 18-year-old Afghan war. The issues in focus are the withdrawal of U.S.-led foreign troops in Afghanistan in return for Taliban guarantees that Afghan soil would not be allowed to become a hub for international terrorists. A final understanding would then lead to intra-Afghan peace talks and a comprehensive cease-fire, according Zalmay Khalilzad, the U.S. chief negotiator. Pakistan has long been accused of covertly backing and sheltering leaders of the Taliban insurgency under its policy of retaining a so-called 'strategic depth' in Afghanistan to contain growing influence of arch rival India there. Pakistani officials say facilitation of U.S.-Taliban talks and ongoing construction of a robust fence on the country's traditionally porous 2,600-kilometer (1,600 miles) Afghan border also are a manifestation of Islamabad's resolve toward promoting regional peace and stability. Fence means we are looking for our national security and not the strategic depth any more, senior government officials maintained while speaking to VOA in background interviews. Pakistani officials acknowledge Taliban insurgents still use Afghan refugee populations in the country, especially those located near the border, as hideouts. Authorities say they are reluctant to mobilize security forces to search for the militants in the camps where tens of thousands of displaced families have been living for years under the protection of the United Nations. Pakistan says it is is committed to upholding its international undertakings. Islamabad says it hopes that when peace returns to Afghanistan, the refugee families would be able to go back to their side of the border, effectively ending the security challenge posed by the makeshift camps.